All business owners start off with great ideas. They have a nice plan, and things look quite promising at the beginning. But, everything can be better with a healthy dose of marketing, right? So they start promoting their business through various channels, and sooner or later they realize their plans are all over the place because they failed to outline a clear brand strategy. It happens, and there’s no reason for panic. What you need to do is develop a brand strategy – A long-term plan that makes it possible for you to achieve specific goals through the development of a recognizable and successful brand. Before anything else, you need to identify the business goals and the reasons for developing a new brand. That approach will help you set long-term objectives, which you’ll then translate into branding efforts. In practice, it’s a bit more complex than it seems, mainly due to the competition factor. All businesses in a particular industry are trying to become recognizable brands through similar types of brand strategy. The results of a higher ed brand survey showed that 50% of the companies designated their resources to go toward new brand messaging in 2017. The higher education industry is extremely competitive, and the problem is that these brands are very similar to one another. That’s why they are focused on unifying stakeholders around a brand message, and making the branding message more unique. It’s an ongoing process. At its core, the branding strategy will define your target customer and make your company more successful. What’s the first thought you have when watching this Mercedes-Benz commercial? Power. Passion. Yes, there’s a huge investment behind this marketing campaign, but the lesson is clear: Passion drives the branding strategy forward. The team behind these ads understands how passionate the customers are about the vehicles they own. That’s why they show that passion through every single marketing step they take. The YouTube channel of this brand provides videos that support that branding strategy. 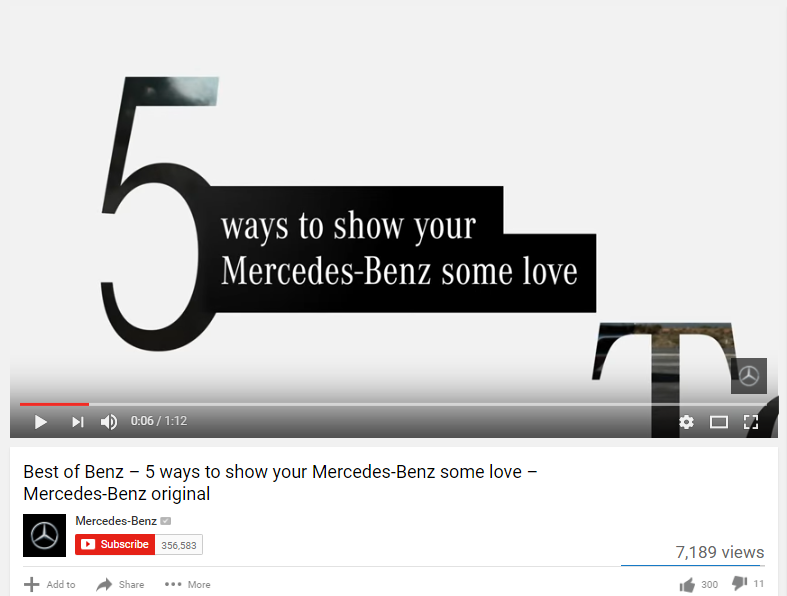 On Valentine’s Day, they published a video named 5 ways to show your Mercedes-Benz some love. Think about it: What makes you different from all other businesses that are competing for a piece of the pie? 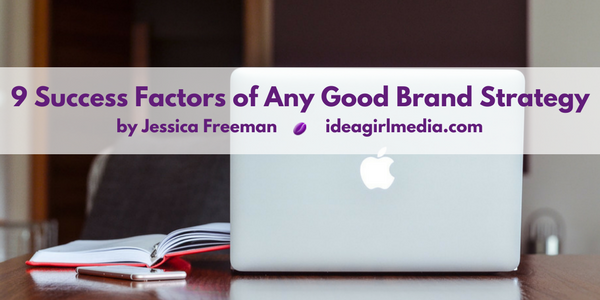 Find that factor and use it to build a brand. What’s the first thing you do before buying a new laptop? You search for reviews and testimonials, so you’ll find the perfect product thanks to other people’s experiences. Testimonials leverage your branding strategy. 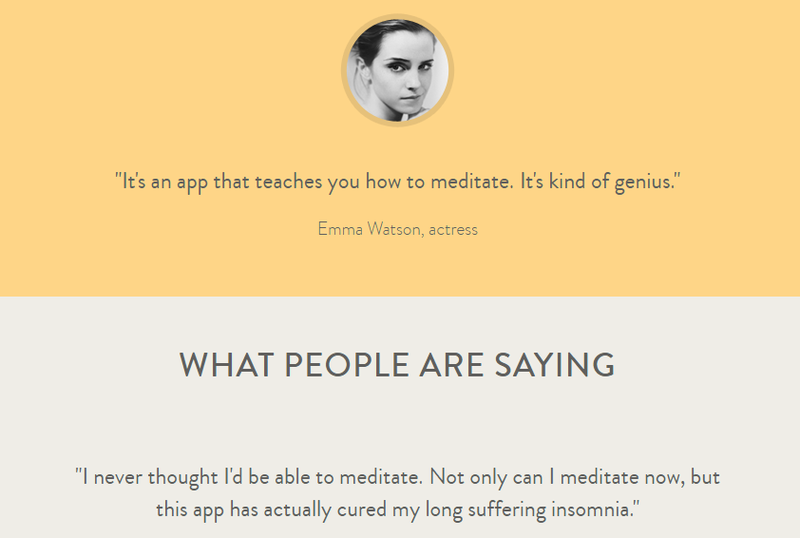 Headspace is an app that’s similar to several others: It provides guided meditation. There must be dozens of apps like that one in the iOS store, and they are all good. Why should people use this one? Because they have built a strong community of brand ambassadors that recommend the app to their audiences. Think of your favorite chocolate brand. Now, look it up on social media. You’ll probably realize the brand is successfully promoted on Facebook, Twitter, Google+, Instagram, YouTube, and other social channels. That’s what your business should too. You have to gain exposure through smart, planned promotion across blogs, social media, forums, and other media. Once you develop a voice and you identify the brand’s factor of uniqueness, you have to make it as visible as possible. MAC Cosmetics builds its brand around the customers it targets: Open-minded people who don’t put limits on beauty. The company’s motto is: All ages, all races, all sexes. There’s a special MAC Culture section at the official website, which promotes the culture developed by these target customers. Remember: When the target customer sees how you support them, they will inevitably show support for your brand. When you think of a successful brand, you see the same logo, promotion of the same values, and a target towards the same audience. If you want to develop a recognizable brand, the strategy needs to be consistent. All ads, social media profiles, and promotional campaigns should align with the main message. Dove is a great example of brand consistency. 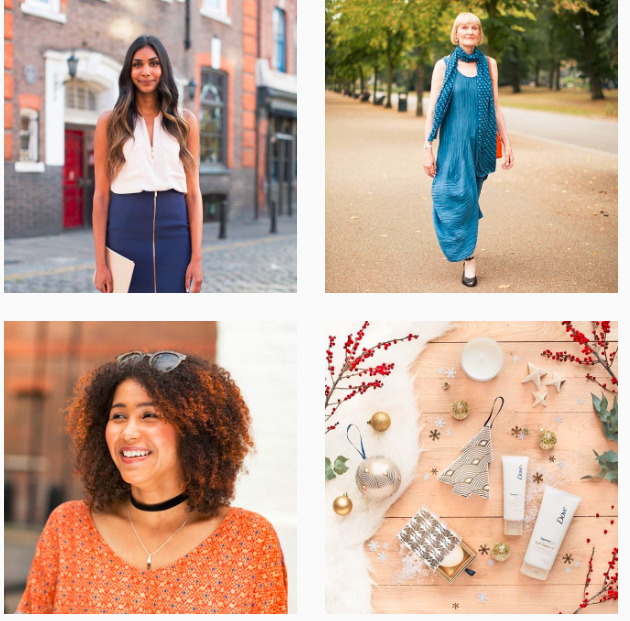 The brand stands behind a strong principle: All women are beautiful as they are. On social media, you’ll see the logo and brand colors, but you’ll also notice that each post aligns with their brand message. Mercedes-Benz, MAC Cosmetics, Dove, Headspace, and all other successful examples of branding have something in common: They trigger the emotions of the right audience. When the person who wants a powerful and elegant vehicle sees a Mercedes-Benz ad, they know it’s just the car they need. The commercials have that element of emotional appeal. How can your brand make them feel better? Cause some emotion with your branding strategy, and you’ll be on the right track. Pepsi and Coca Cola are competing for the same audience, with products that are very similar. The legendary Cola Wars phenomenon is still an attractive topic for marketing case studies. They both managed to make a name for themselves. The competition only made them better. There are major and minor players in every single industry. The competition is not there to steal your customers away. When you optimize your branding strategy in a way that shows how your product or service is different and better. That competitiveness will only make your brand more successful. Wait a minute, wasn’t consistency one of the most important factors for branding success? How are you supposed to be consistent and flexible at the same time? The message has to be consistent with the brand’s values. The values of your brand need to stay consistent throughout its development. Reflect back on MAC Cosmetics and Dove. The design and approach should be flexible. The interests of your audience change. The approach of your competitors towards marketing changes, too. Old Spice, for example, continuously introduces new packages, product names, and changes to its website. The marketing experts behind this brand understand pop culture and want to make Old Spice part of it. Their recent approach attracted a new, younger generation of men. Only a strong branding strategy enables you to develop a successful brand. The examples mentioned above show how powerful branding can be. Hopefully, you’ll implement these 9 factors in a unique combination that makes your business brand recognizable on the market. Jessica Freeman is a freelance writer. She is interested in traveling and online learning. She enjoys writing on education, technology innovations, and blogging tendencies. 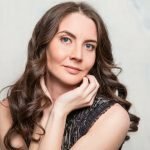 Follow Jessica on Facebook and Google+ where she shares her work aimed at helping college students improve their writing.